With Illinois stuck in neutral with a near-junk bond rating, neighboring states Indiana, Iowa and Missouri are all boasting AAA-rated standings. And if that’s not enough, Wisconsin and Michigan are just one notch below that benchmark. Meanwhile, Illinois stands at the opposite end of the spectrum, saddled with the dubious distinction of being the nation’s worst-rated state based on the calculations of all three major credit rating agencies, according to Wirepoints. While Illinois and Indiana are only separated by a few short miles, the Greater Fort Wayne Business Weekly reports that they are worlds apart in terms of fiscal policy, as Indiana is spending just 6 percent of its budget on pensions compared to Illinois’ 26 percent; and Indiana’s population being on the rise by 123,000 residents over the last five years as opposed to Illinois having lost 157,000 people over that same period. Other significant differences include manufacturing jobs being up by 21 percent in the Hoosier State since the Great Recession versus Illinois’ mere 2 percent rise, and Indiana’s property-tax rates being just a third of what they are in Illinois, at 0.8 percent and 2.67 percent, respectively. Indiana Gov. Eric Holcomb has proudly taken note of all the differences. Meanwhile, Wirepoints laments the fact that Illinois appears prepared to be laying the groundwork for even more borrowing, spending and tax increases based on Pritzker’s recently expressed plans. 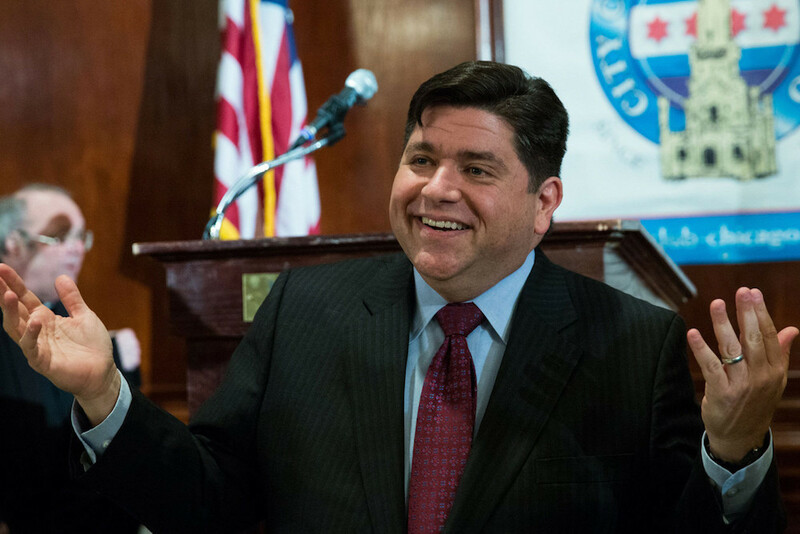 Want to get notified whenever we write about Illinois Governor J.B. Pritzker ? Next time we write about Illinois Governor J.B. Pritzker, we'll email you a link to the story. You may edit your settings or unsubscribe at any time.